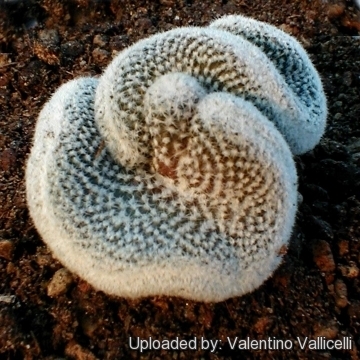 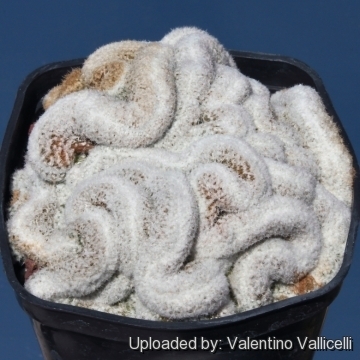 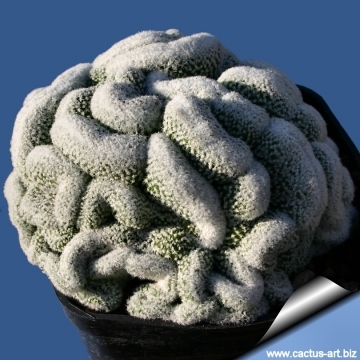 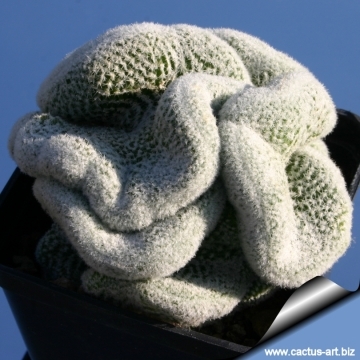 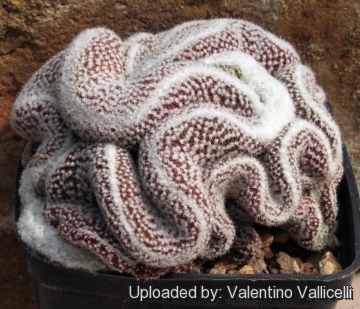 Description: This is one of the of the more striking crested cacti that will soon form a white brain-like mound. 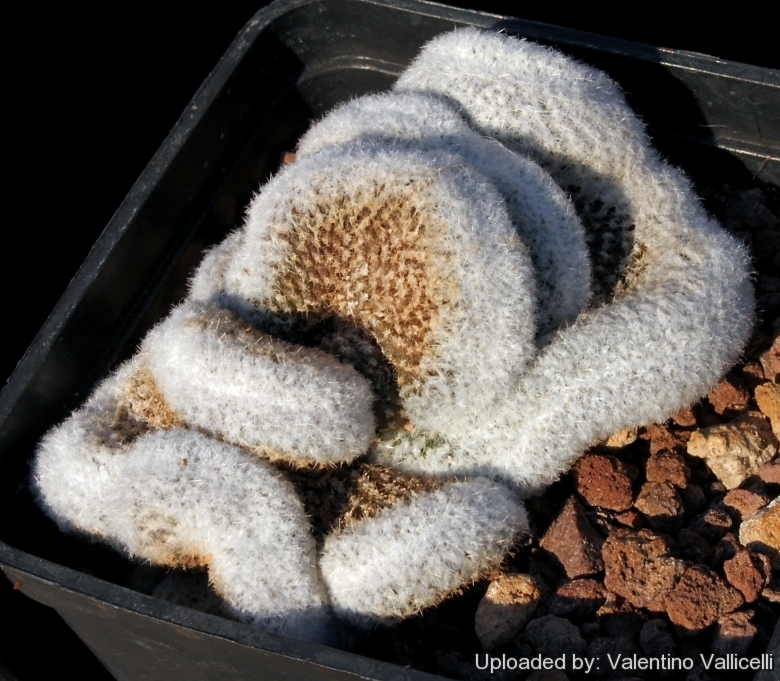 Stem: Thin quite woolly, especially near the line-meristem of the crest of the plant. 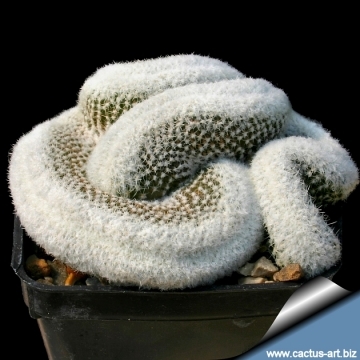 Spines: Pure white, short almost pectinated almost concealed by the dense white wool. 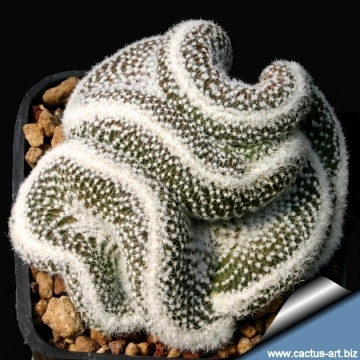 Cultivation and Propagation: Echinopsis densispins f. albolanata cristata is not too difficult in a greenhouse, although grows quite slowly. 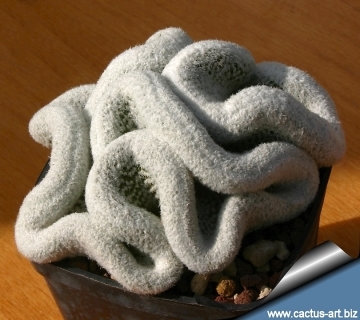 It is usually seen as a grafted plant but can grow on its own roots too.